Have you misplaced your home, office or car keys? 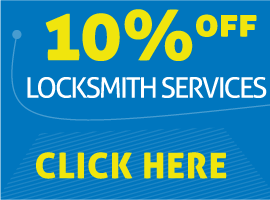 Are you searching for some reliable emergency locksmith in Dallas area and beyond? Well, in this terrible situation, Dallas lock & key can assist you in the best possible way as this company specializes in providing all sorts of locksmith solution to its clients. *Professional Locksmiths. When we respond to your calls, you can expect to get quick and honest answers. This also works the same way for our emails. When we do house calls, we make sure that all our locksmiths will be easily recognizable with their uniform on. If you ask, we can even give you our business cards, or just save our number. *Wide range of services. Our company provides residential to commercial and automotive locksmith services. We can help you when you need roadside assistance after being locked out of your car on your way to watching a Dallas High School soccer game, when you broke the key to your home, or when you misplaced your key to your store. *Fast response time. You don’t have to suffer in the cold after being locked out of your home or miss an important appointment because you can’t go inside your car. All you need to do is call our hotline and we’ll be there in just a few minutes, usually around 20 minutes depending on your location and our manpower. *Affordable. Even if you can expect the quick response and quality service from us, we still offer affordable and competitive prices. It would be even better if you can compare the services that you need from us and their prices first. You can also rest assured that we can offer services with zero damage to your property. *Legal registration. We are affiliated with the local Better Business Bureau and have since maintained a good record to get a positive rating. *24-hour emergency service. Whenever you need us, whether it’s at five in the morning or at midnight, you can expect us to come within a few minutes of your call so call us now at (214) 385-4331.